As I have always said our jigsaw mats have been used for a huge number of applications. They have been used for all sort or training and lifestyle purposes. But even by our standards this one is out of this world. Jigsaw mats for cows. Yes you heard it correct. Cows! 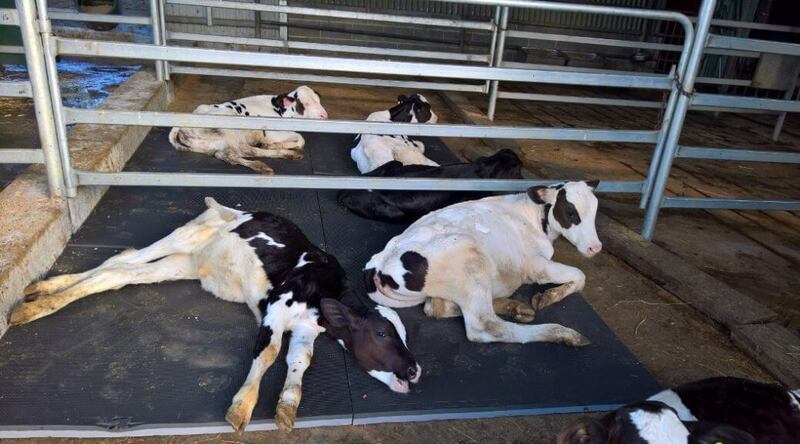 They say a picture is worth a thousand words and this picture certainly is – four Aussie calves taking a break on our 40mm jigsaw mats. I am sure it beats sitting on the hard concrete. And word is they loved them. From the cows mouth “Mooooo”!